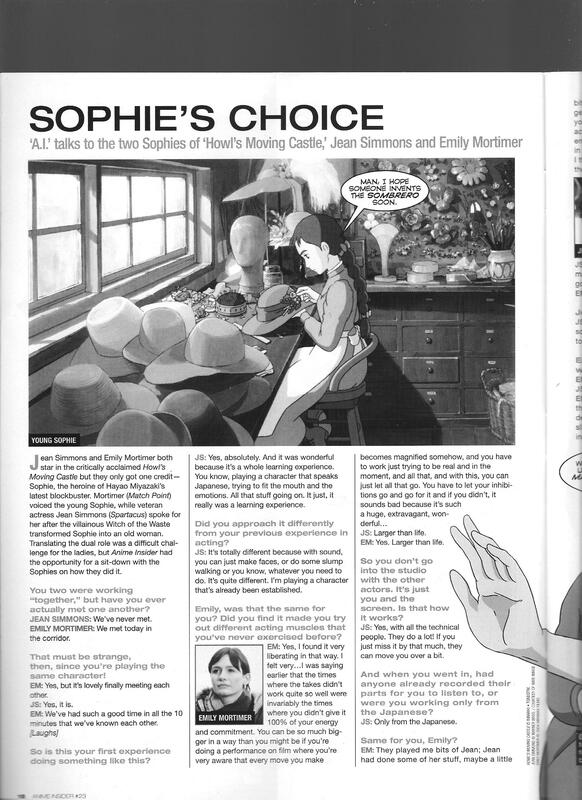 An interview with the two dub voices of Sophie from Howl’s Moving Castle, talking about how the role was recorded. They had actually never met before this interview, so apparently there was very little interaction between the actors in general (probably a consequence of using more-booked celebrities). 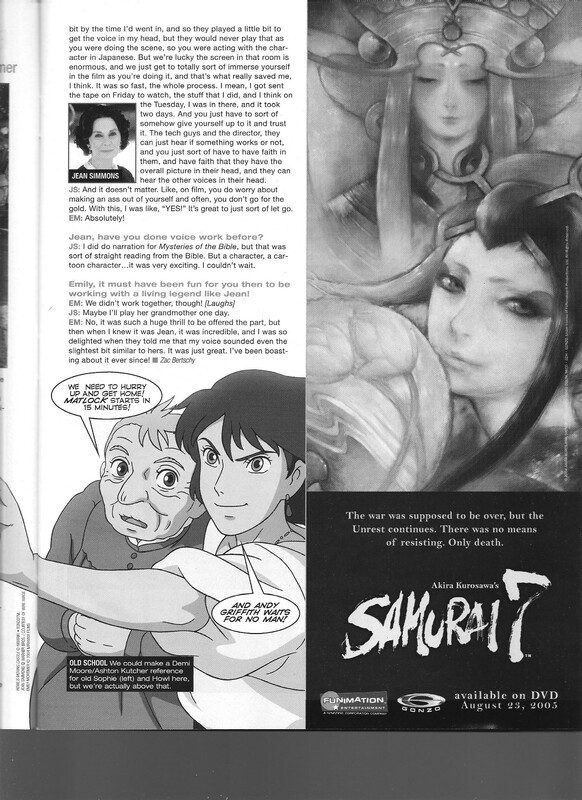 This entry was posted in Old Magazine Articles and tagged Anime, Borderline Plagarism for the Freedom of Information, Howl's Moving Castle, Voice Actors by torisunanohokori. Bookmark the permalink.